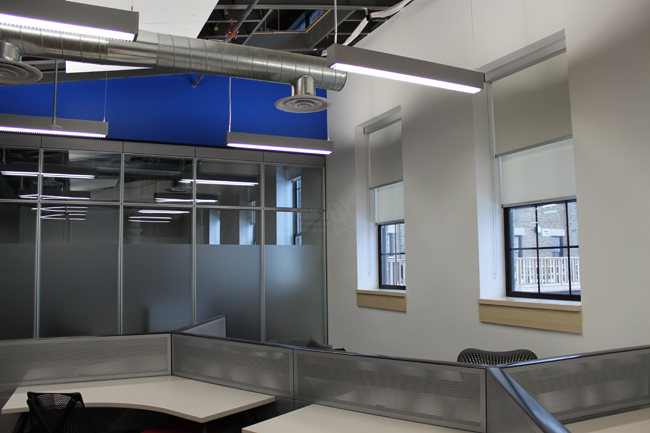 (below) ProMark Window Film & Blinds was contracted to install frosted film on interior offices and some exterior glazing. 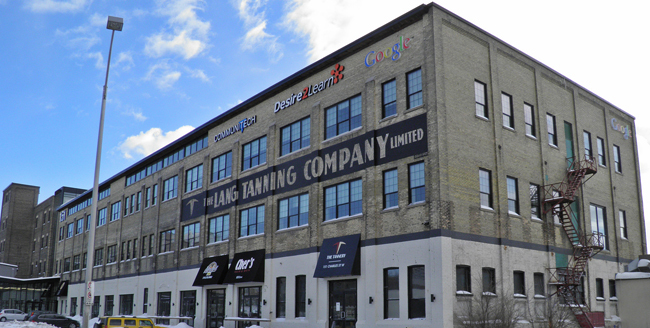 We were also contracted to install manual and motorized roller shades to interior and exterior-facing windows for the first and third floor additions. 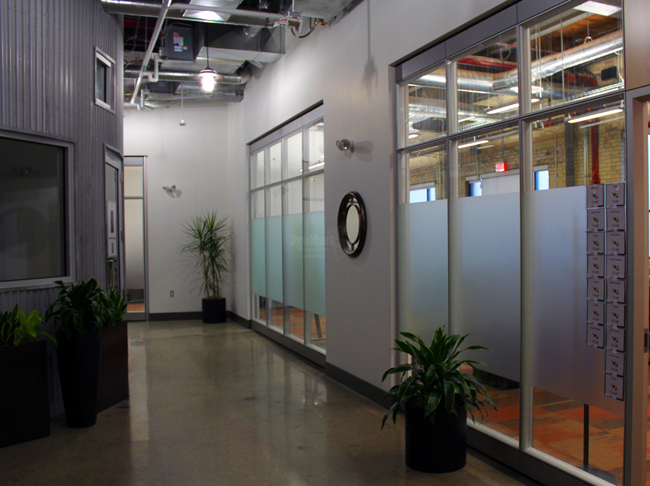 (below) Clear Velvet frosted film was applied to interior office glass to add privacy to work areas while still allowing light to flow throughout the space. (below) Manual operated roller shades were added to all exterior windows. A tight 1% weave was chosen for high-glare reduction. 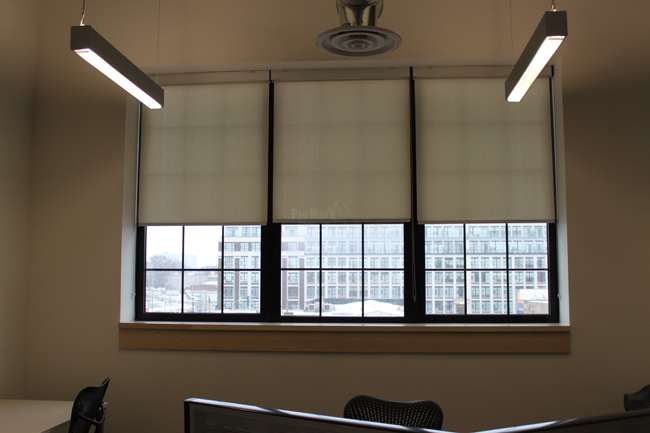 (below) On the south-facing side of the building, the addition of blackout blinds in front of the 1% roller shades permitted greater light control. (below) Motorized shades were installed to upper windows on the south side; again both 1% and blackout shades were used. For further information on these or any of our other products and services, contact us or explore our site further. Never saw your web before. If I would need a blind or whatever you would be the first person I would go to for advice.